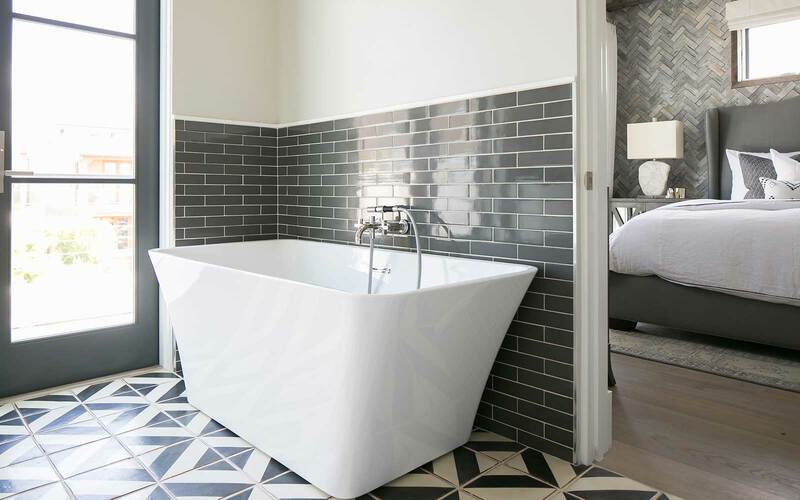 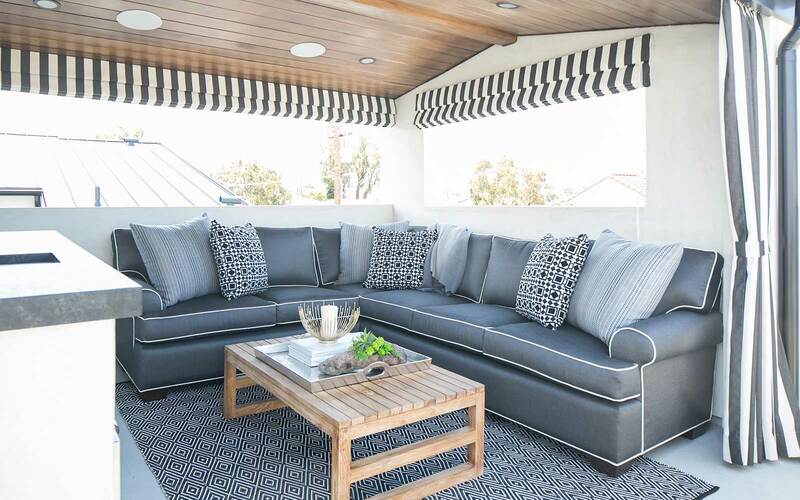 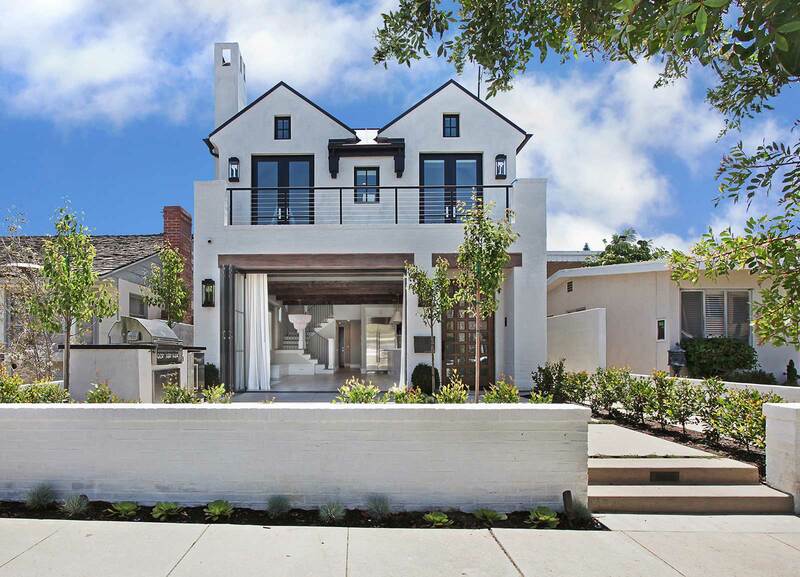 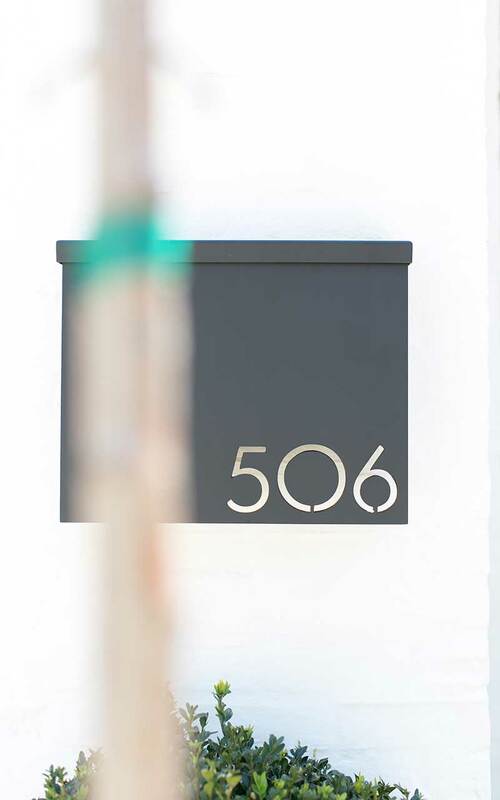 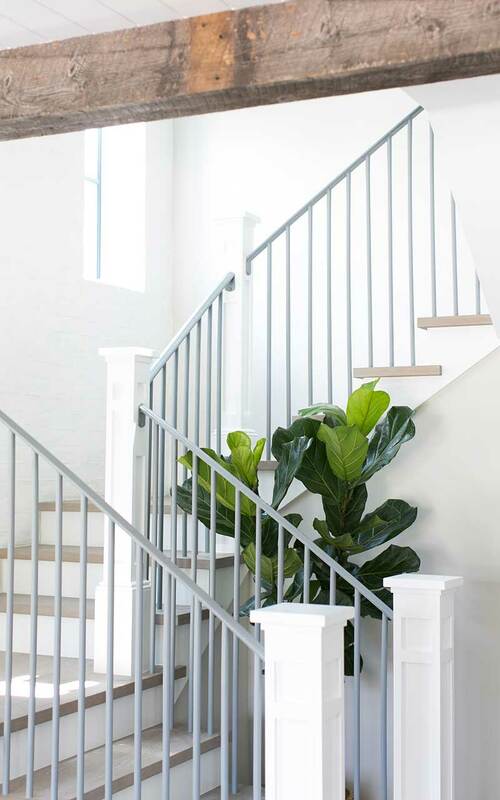 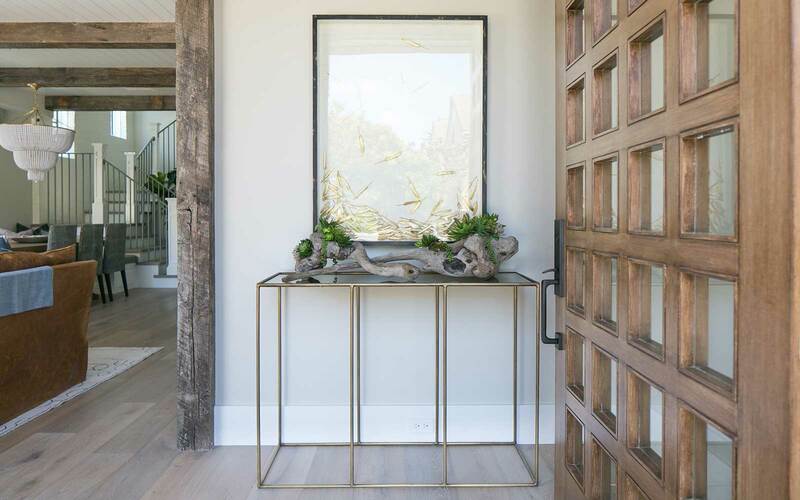 The key to making a home that’s five blocks from the beach feel like a modern take on a farmhouse is all in the details — specifically the finish carpentry detail work. 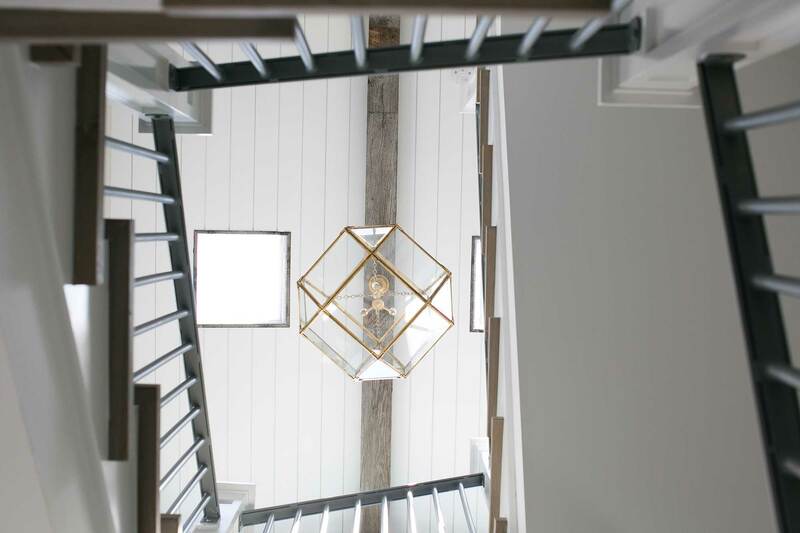 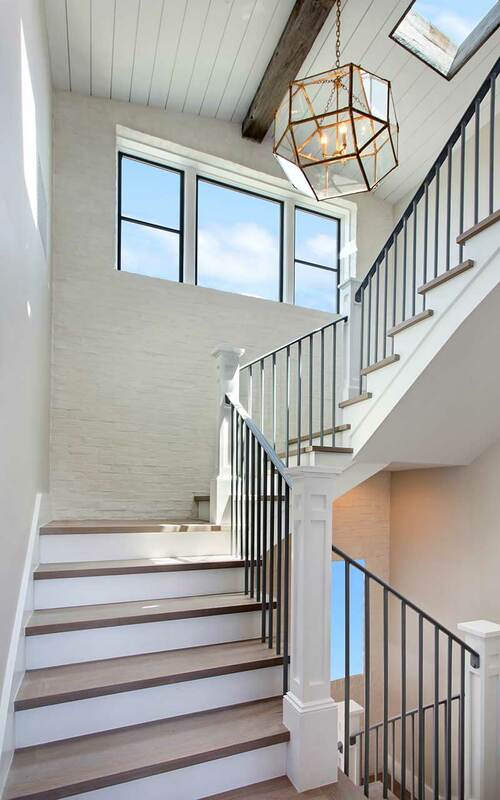 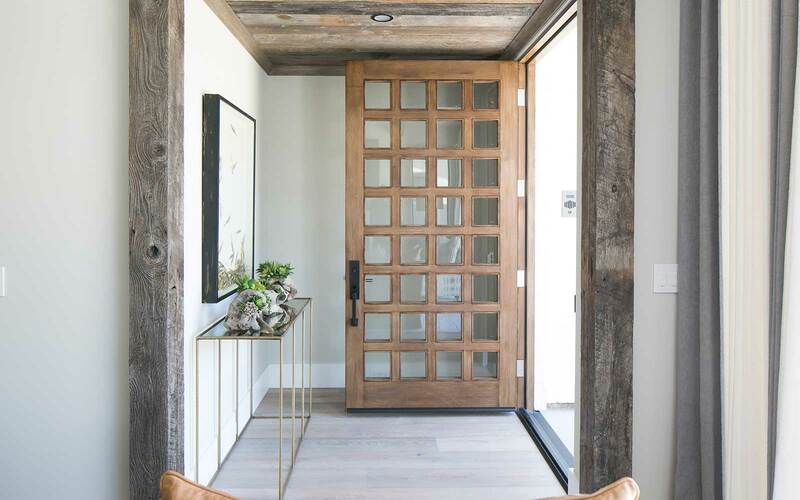 Upon entering through the custom stained white oak front door, reclaimed wood planks cover the ceiling giving the foyer an organic, outdoorsy look. 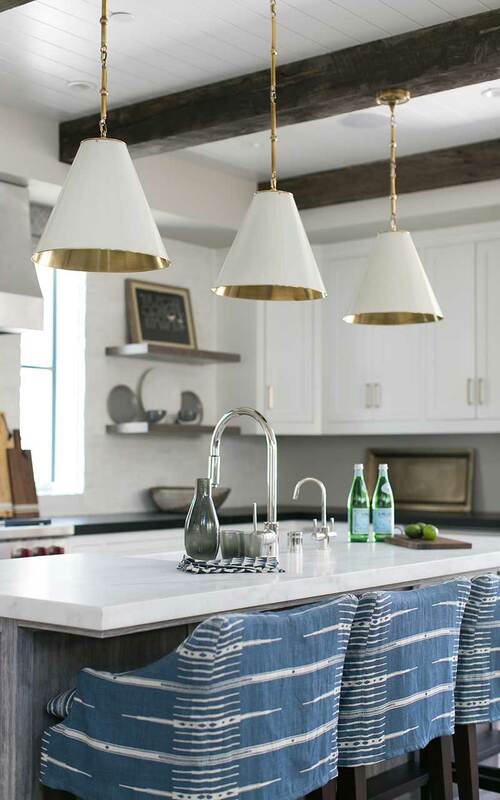 These reclaimed planks are salvaged from horse corrals and are referred to as Corral planks — a nice touch when the goal is to achieve a farmhouse vibe. 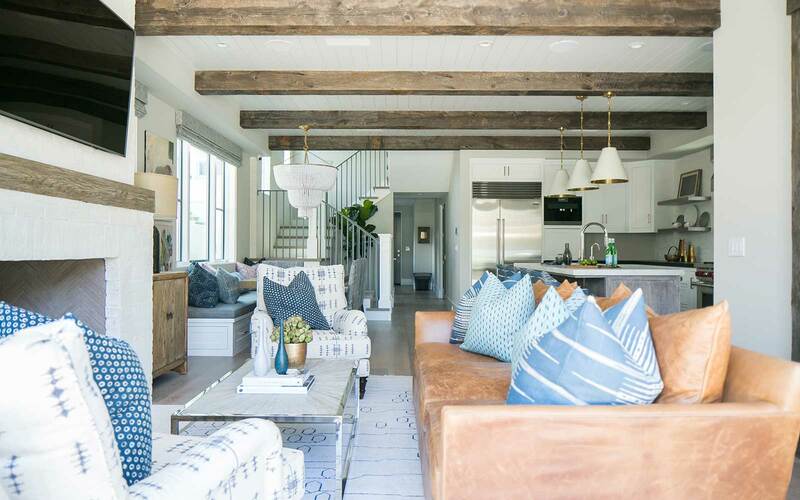 The home features reclaimed box beams with a classic tongue and groove ceiling treatment running perpendicular to the beams. 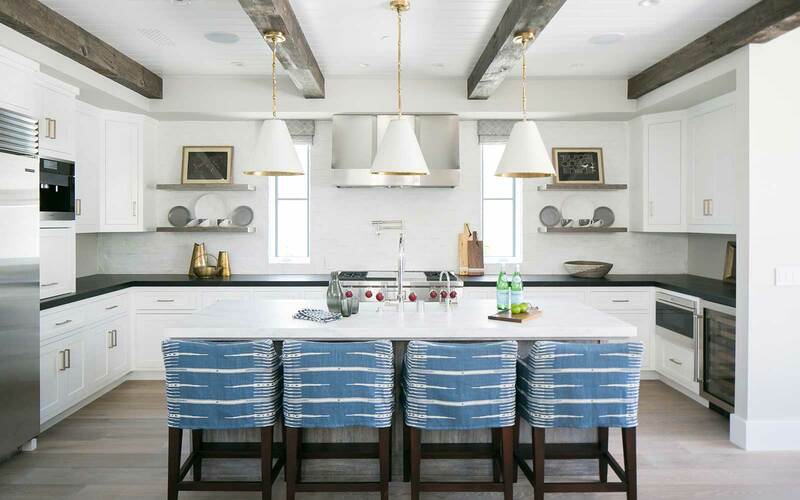 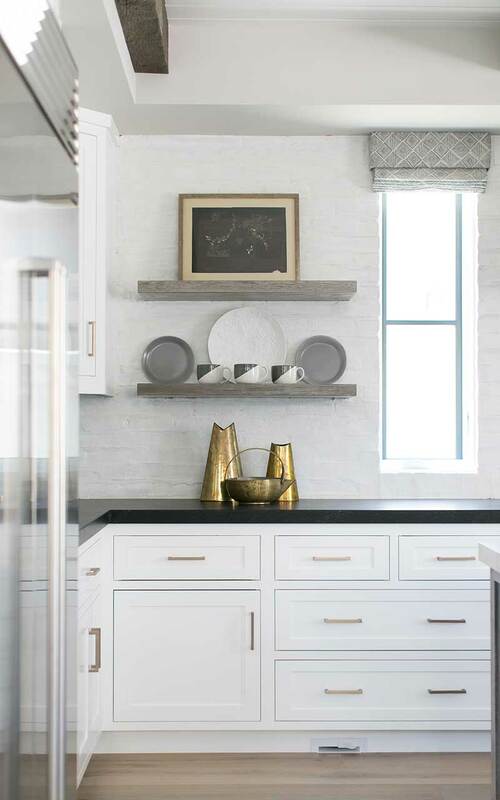 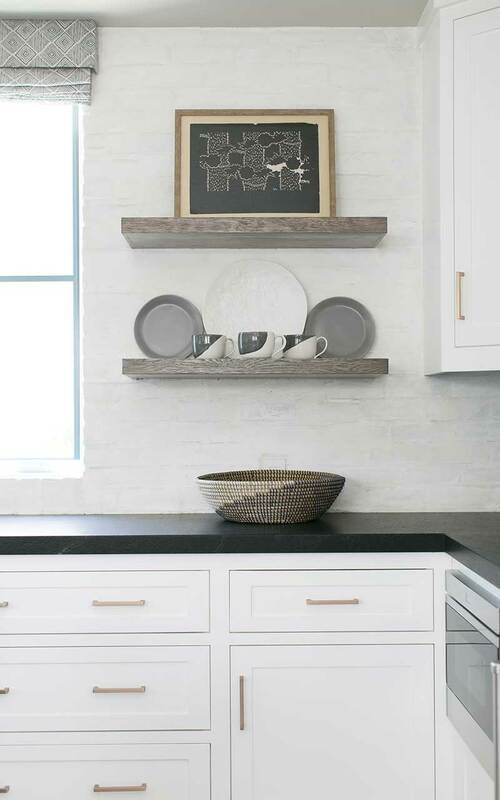 This ceiling treatment is reminiscent of the boards often found in old houses on the exterior of the framing just beneath the siding, also known as shiplap, adding to the home’s classic farmhouse feel. 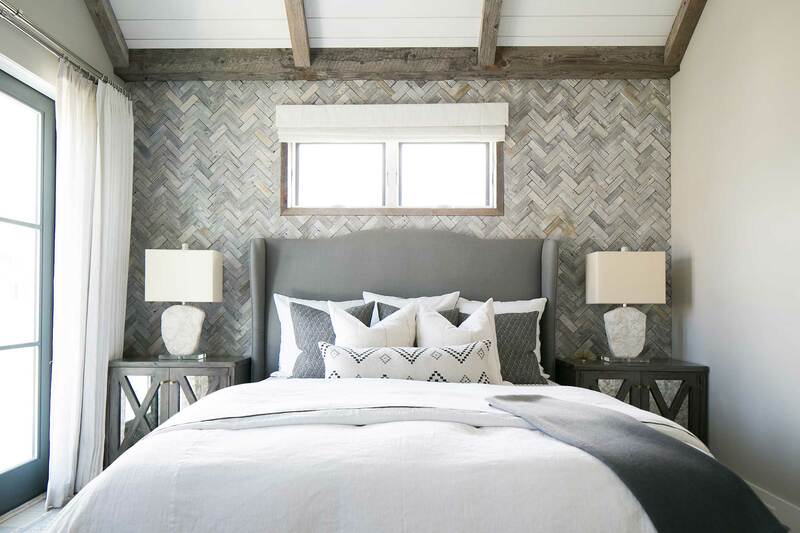 The most incredible aspect of this home’s finish carpentry is the feature wall in the master bedroom. 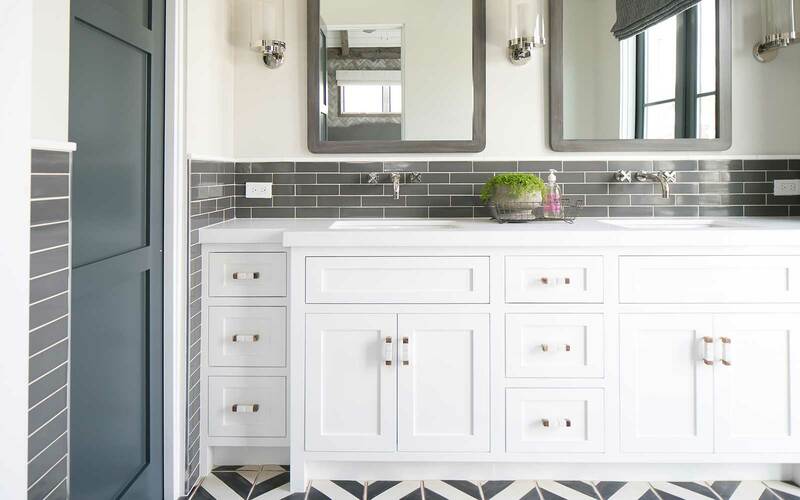 This installation is made up of barn wood cut into 1” x 3” rectangles and stained in various shades of gray hand-laid in a herringbone pattern.